Since the summer of 2012 I have been waiting in anticipation for the publication of the Scottish Parliament Inquiry into Support for Community Sport. The Report was finally published on Wednesday 16 January 2013. I have had time to study the report in detail and now feel ready to give my thoughts on its content. Well, let’s start with the good stuff! It is pleasing to see the very first recommendation – the need to audit the scale and skill set of the volunteer workforce. Sportscotland is asked to coordinate an examination of capacity. There is much said about promoting a culture of volunteerism in sport. The Minister for Sport is asked to Report on all aspects of volunteering in sport before the summer holidays this year. Monitoring and evaluation of sports clubs. Production of local sports strategies. Use of school based facilities. Local sports facilities asset management. 24/7 approaches to the use of existing facilities; providing clear information on charges and opening hours of facilities. Teaching children to swim in deprived areas. Following some Health and Sport Committee discussion in June 2012. – when the remit of the Inquiry was agreed. A Scottish Parliament Information (SPICE) briefing paper Community Sport was produced over the 2012 summer holiday months. The Inquiry started for earnest in early September 2012, with the Inquiry public meetings concluding one month later. A full Chamber debate on Community Sport was held in October 2012. Clearly the Committee also met in private to discuss the Report. The Final Report was issued in mid January 2013 . The contribution of people, largely on volunteers. The contribution of local sports clubs to the preventative health agenda. The importance of places for sport, in terms of availability, accessibility and quality. I am frustrated by the time that was allowed for the Inquiry. The perhaps understandable lack of knowledge of Scotland’s sports infrastructure shown by the Committee. The remit did not include – the role of local authorities in supporting community sport. The remit did not include any audit of participation in community sport. The remit did not include any real mention of finance – for example clarifying where the public pound is spent on sport in Scotland (viz. Elite Sport/Sports Event /Physical Recreation/ Community Sport. Or even an audit of the actual costs involved to participate in community sport. No mention of South Lanarkshire – where the Council and the Leisure Trust are giving free access to sports facilities for young people. The choice of many witnesses – many of whom had not submitted any written evidence. Very little reference in the Report to any written evidence submitted to the Inquiry. Oral evidence was given by many social enterprises that are public or endowment funded for health projects and also sports facilities trusts that receive public funding. On the other hand – very few community sports clubs, and very few local authorities.Two of the witnesses from local authorities are in Sportscotland funded posts developing community sports hubs – and could not really be asked to comment on local authority sports policies. All the Committee visits to facilities were newly built. The challenges to support and to develop Scottish Community Sport, I believe are formidable, but do-able. We, as a nation, the local and national politicians, the corporate world and as individual citizens need much more resolve. I do not believe that many governing bodies of sport have the capacity to develop the capacity of community sports clubs. Nor do I agree with the Committee that finding more coaches is the complete answer. The answer, I believe, is more about a mix of improving the quality of coaching at all age stages, giving more affordable access to facilities for clubs, and finding volunteers to take on the administration and political management of clubs. I am hoping my readership will share their own observations on the Inquiry Report with me. I am hoping to write a separate “post” on each of the following, and would like to take account of their observations. Scotland relies on the Scottish household survey for its participation figures. The survey asks about physical activity, not sport. Also, Sportscotland uses a really strange way of gathering information on Active Schools participation, by counting each session of activity and multiplying that number by the number of participants. Some governing bodies are accused of inventing participants figures for their own sport. There are much better ways to gather information on sports participation. We need to understand the different forms of participation. We need to learn what approaches and any investment of time or money are successful in increasing participation. We need to audit public spend on opportunities for casual participation in contrast to public spend which supports community club activity. We need to balance public spend on elite and performance sport with community sport. The Report does refer to Physical Literacy. This indeed featured significantly in the previous committee’s Inquiry into Pathways into Sport. The Committee this time, has drawn attention to the need to ensure that all children are given the opportunity to learn to swim. However, as so often seems to happen the PE and School Sport, the debate is happening out with the educational environment. In particular, out with the Education Committee and at a distance from the various educational organisations. In my view this debate should be raised within the political world of schools . Otherwise, as has happened over and over again, any recommendations are seen as impositions. The opportunity does exist, as the Curriculum for Excellence, with the recognition of PE and School Sport (which is more than physical activity; and more than physical literacy ). As someone who has tried for twenty years to develop school sport in local authority schools, I continue to demand a Review of School Sport. Volunteers, and in secondary schools 85% of these are teacher volunteers deserve recognition and a voice. Currently they are far too often confused with the paid Active Schools Coordinators. The Committee does refer in virtually all the Reports recommendations to local authorities. Significantly, but understandably does not demand, but hopes (and probably prays too) that local authorities will do much to support community sport. Of course, partly because there are few statutory requirements of local authorities regarding sport. Factually – needs to adequate and appropriate provision for sport ; and also separately local authorities to enshrine well-being as part of community life. A result of this opaque requirement for community sport is that with the on-going financial crisis – so many cuts in budgets for sport have been really vicious. Hire of facility charges have risen out of all proportion. My own swimming club, Warrender Baths Club, the average club swimmer requires to spend £100 a month for pool hire and coaching alone. Result – virtually all members of the club come these days from the independent schools. There has to be a discussion too about whether local authorities need to compete with the private sector on physical recreation activity. Please see Bob Waddell’s comments which he posted after my second article – he rightly suggests “commercial sports provision should stand on its own financially. Current public investment in sport should be focused entirely on building capacity in developing sport at all levels”. For example the majority of users of the really well equipped Council gyms – are salaried adults. Could we not find ways of funding the private sector to make this provision for those on low-income? I welcome the recent Parliamentary debate about transparency of governance of the leisure trusts. To ensure greater accountability for the public finance that they receive and to be more answerable to the public themselves. I worry about the several local authorities that have established leisure trusts – largely to save on non domestic rates – but have lost control of the Strategy for sport, and sometimes over the charges being made by the Trusts. I will produce a post in response to any papers or comments made to the Health and Sport Committee by the Government or its national agency. 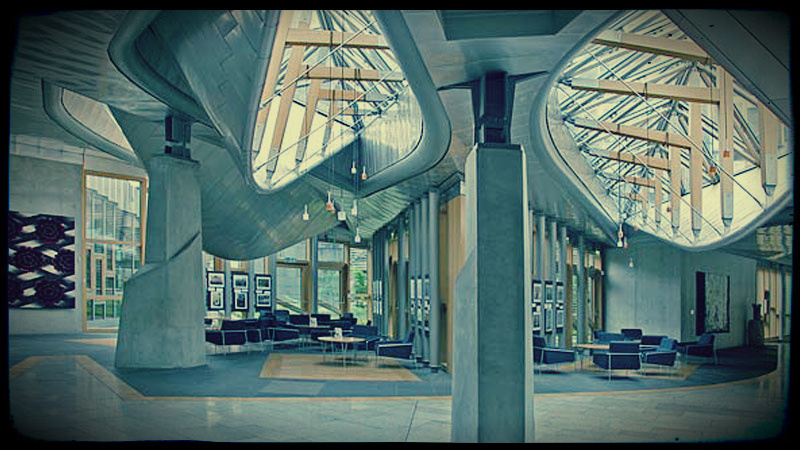 I may also have to think harder about whether we can expect much from the Scottish Parliament. It seems that sport will never be taken very seriously by the Parliament. Please send me your comments – both on the Inquiry Report and on my own response.